The Legislative Drafter’s Deskbook offers practical advice and insight for those engaged in legislative drafting, those more interested in policy than drafting itself, or those interested in reading and interpreting the law. 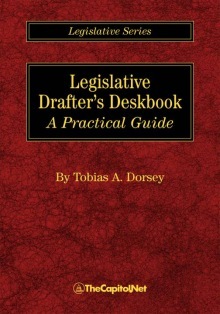 The Legislative Drafter’s Deskbook: A Practical Guide is a masterful work. It is comprehensive and exceptionally well written. 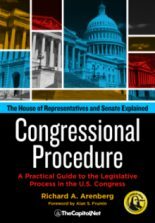 It is an essential tool for anyone who drafts legislation or interprets the law. 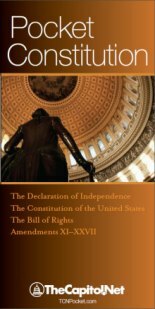 [A]n essential and indispensable book, both as a reference work and as a thorough introduction to Federal legislative drafting. [T]he perfect companion for both drafters of legislation and students of statutory interpretation. 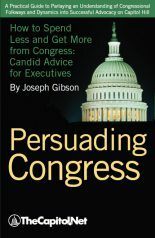 It is a well-written and clear guide to the do’s, don’ts and whys of writing effective legislation. 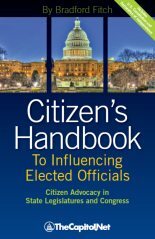 For complete Table of Contents, sample sections, and secure online ordering, see LegislativeDraftersDeskbook.com.